We are a Certified New York State Mold Remediation Contractor Locally Family Owned and Operated “PA. doesn’t require any specific license” and have been specifically preforming mold remediation for over 20 years. Over the past twenty years we have helped assist The State of NY, PA, NC and SC with mold remediation projects from commercial to small home projects ranging from Hurricane Fran in 1996 where Crabtree Valley Mall in Raleigh NC had sustained mold damage from being flooded under 9 feet of water. The latest Hurricane Sandy and the 2006 October Storm here in Buffalo NY, Ahold of Mold Environmental assisted hundreds of customers with flooded basements and homes that had developed mold due to the large amounts of snow melt off and power outages, causing sump pump failures and water back-up. We are the one to call to help best assist with any of your problems large or small. The presence of mold or black mold in your home is linked to a number of medical issues and symptoms for people of all ages, including nasal congestion, skin and eye irritation, chest congestion and wheezing, lack of energy and even mental deficiencies. At Ahold of Mold Environmental, we specialize in containing, repairing, and removing the areas of mold infestation in your home or business effectively and discreetly, ensuring your peace of mind. Our region of Western New York and Northern Pennsylvania, especially the Buffalo, NY area, is known for radically-fluctuating temperatures, humidity, older houses, and leaky basements, all of which increase the possibility of black mold and other hazardous mold growth. Even a simple issue like a minor basement leak, leaky roof, or improper drainage in your back yard can lead to harmful mold growth. What’s more, mold is not a stationary organism: a small black mold issue in your basement can make its way into your HVAC system and cause problems throughout your entire home. 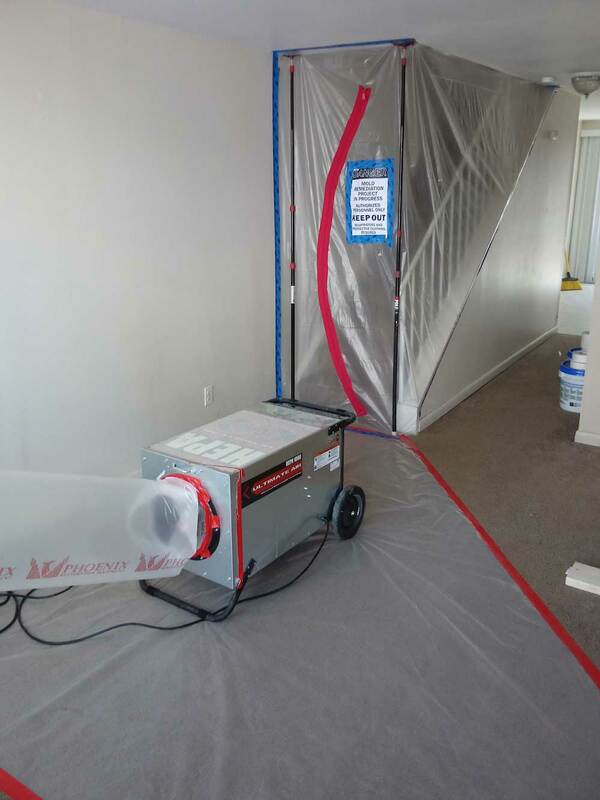 We begin our mold remediation projects by identifying any source or sources of persistent excess moisture in your home and fully correcting them. If we were to leave any moisture sources unrepaired, your black mold problem would most likely recur no matter how thoroughly we clean and remove your existing mold. By testing your indoor air quality, we determine the levels of mold spores, mycotoxins, and harmful allergens in your home’s air, which gives us clues as to the extent of your black mold infestation. If your tested levels are significantly higher than expected based on our initial visual inspection, then we know to search for signs of hidden mold growth. We can also learn more about the extent of your black mold infestation by testing air quality from room to room and in your HVAC ducts. Then we completely isolate, remove, and discard any mold-contaminated porous materials, including carpeting, wallboard (drywall), ceiling tiles, wallpaper, fabric, upholstered furniture, mattresses, and others. Other non-porous and semi-porous materials can be thoroughly cleaned and reused if still structurally sound. Why Call a Professional, Licensed Mold Remediator? 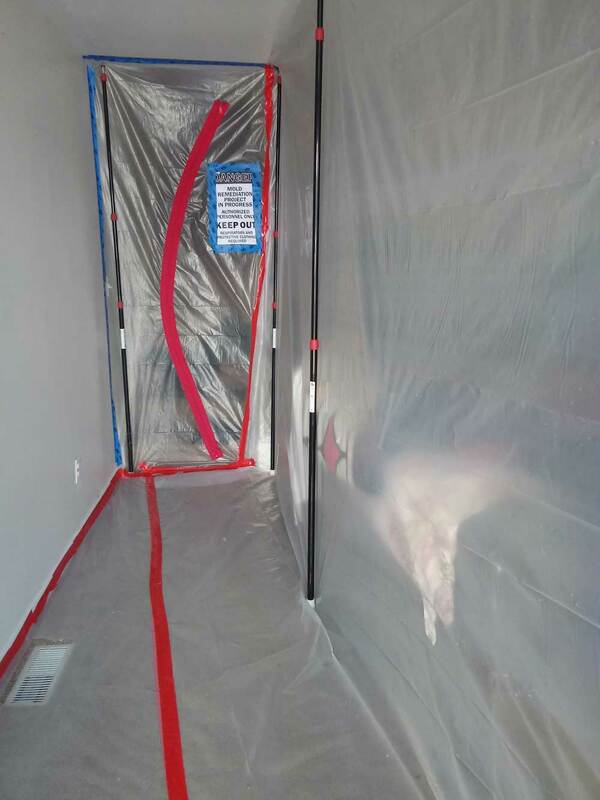 Because the cleanup and mold removal process can cause a huge increase in the levels of airborne toxins, spores, and other hazards, it is important to wear the proper protective equipment and follow all approved safety protocols. It is also advised that black mold growths in excess of 10 square feet be remediated by a professional, licensed mold remediation contractor to avoid cross contamination and the health risks associated by exposure. For our final stage of remediation, we at A Hold of Mold Environmental, appropriate the services of third party sources for our post remediation clearance testing. We are intolerant of any “biasing” in the “mold remediation” industry that would have the proclivity to obtain clearance approval by any in house means. Ahold of Mold Environmental only retains the services of third party & independent sources as our final stage of mitigation. Therefore, our goal is to provide our clients with analytical laboratory services that merit their absolute confidence, thereby giving us and our clients a truly genuine analysis of air & the environment within the home or work facility. 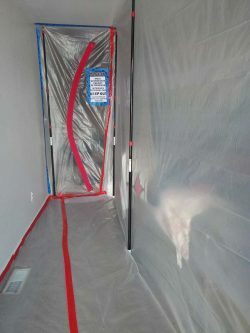 A Hold of Mold has over two decades of hands-on experience and continuing education in the most proven, effective mold removal and black mold remediation techniques. We also have professional liability and pollution liability insurance coverage, further protecting everyone involved. We are your source for thorough, effective, and discreet black mold removal services throughout the Buffalo, NY and Erie, PA areas.